The Registry of Buyers is a registry of individuals and businesses who acquire primary forest products for processing into secondary products, export, sale as firewood, or production of energy. 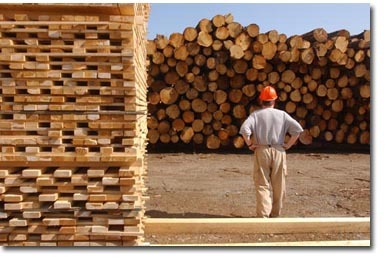 The Registry of Buyers provides reliable data to help the public, business, and government understand wood demands and estimate sustainable harvest levels. This will help determine long-term resource management needs and identify value-added opportunities for our forest products. PLEASE NOTE: This is a short overview of the Registry of Buyers System. The original Forests Act and Regulations should be consulted for all purposes of interpreting and applying the law. Other documents are available through the Department which will more fully explain how the Registry will work. The Report is based on Primary Forest Products Acquired, Secondary Forest Products Produced, and the Wood Acquisition Plan Program. This summary is published annually to report the statistical information related to the purchase of primary forest products, forest harvesting, the production of secondary forest products in Nova Scotia and the the silviculture conducted under Wood Acquisition Plan Program. This information is collected from companies and individuals involved in the forest sector who acquire primary forest products.